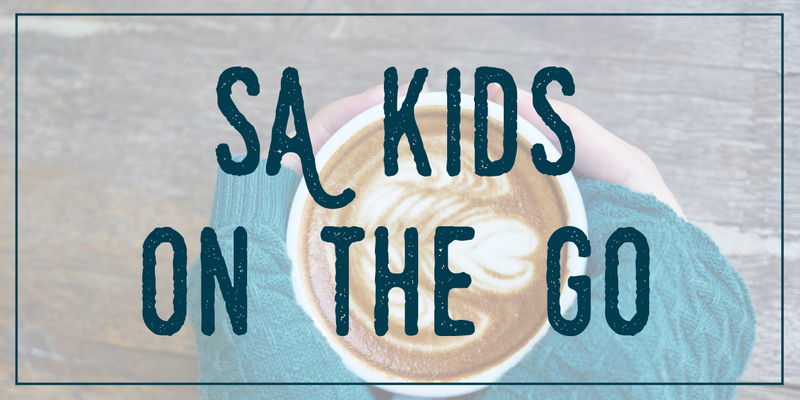 I hear so many parents, mothers in particular, say how much they would love to do something that they know would enrich their well-being and yet they cannot bring themselves to do it because they feel guilty. They say “I would love to ...but wouldn’t that be selfish?”. For too long we have defined a good mother by her willingness to sacrifice her own desires, needs, joy and in some cases her health for her family. But my question to you is this: Is it working? With a record number of moms (and dads) taking anti-anxiety medication and antidepressants to cope with the every day and real demands of parenting in the modern world; and more moms than ever before feeling overwhelmed, overstretched, at the end of their rope, and sick and tired of feeling sick and tired, I suggest that perhaps it is not. And our children aren’t all that happy either. The most recent research indicates that depression and anxiety among children has dramatically increased. So I am writing this article for you, YOU who needs so badly to take care of yourself but think that it would be selfish to do so. I am going to, with a bit of science, attempt to turn your logic on its head. In 1665 a Dutch scientist found that when pendulum clocks were brought into close proximity with one another they would synchronise their swinging so that they eventually would swing in time with one another, even if they were started at different times. This remarkable occurrence was coined entrainment. Entrainment is a measurable phenomenon that affects you and I too. Did you know that our brain waves, heart rate, breathing and much more will automatically (without us thinking about it) synchronise with strong external rhythms, pulses and beats? I remember when I moved to London noticing that I walked faster there. This happened because my body was being influenced by London’s faster pace and my body was synching with my environment to match its rhythm. Women who are not on artificial hormones and living in closed quarters will menstruate at the same time. A 2007 Swiss study found that music with a fast, accentuated staccato beat induced faster breathing and heart rates in its listeners. If two heart cells are placed close to one another they will synchronise to beat in rhythm. When you are in close contact with a loved one you might notice that your breathing rhythms synchronise or you step in time when walking together. Thyroid glands communicate with one another in the same way. If you are in close enough proximity to someone with a healthier thyroid gland than you, that persons thyroid gland will communicate with yours the ‘information’ coded for healthier function! Don’t you find that mind blowing? I certainly do. Through your physical contact and closeness you (and the environment you create around you) shape your child. Their brain, through this process of entrainment, is literally shaped by their connection with you. And it doesn’t stop at the brain. Simply put your state of being is contagious to your child. If you are in a good space, meeting your needs, taking care of your emotional and physical health, getting the rest you need and are connected with what makes you happy, that resulting joy and well-being infects your child. Similarly if you are stressed, doing too much, not taking care of yourself and overwhelmed your child picks that one up too. If you allow yourself to be swept up by the strong tides of the modern world you by default will entrain to a very fast paced rhythm. The modern world is one of information overload, overstimulation, speed, and stress. It is like the world has gone into hyperdrive mode and we all feel it because we keep saying “ wow that year went even faster than last year”. But it is in our power and in the interest of our children’s well-being to choose to synchronise to a different beat. When you become aware of just how much we influence each other and just how much you are influenced by your environment and societal rhythms you can begin to experiment with shifting the rhythm of your daily life to create something healthier for your family. You can practice becoming more mindful of what you are doing, why you are doing it and how it is influencing your children. You can make different choices. Here is an example for you: more and more children are being told that they are problematic because they find it really hard to sit still when the adults around them expect them to. Yet we have an epidemic of mothers who are suffering with the same difficulty - they can’t be still. Many moms feel so much guilt around slowing down or putting their feet up that they just won’t do it. They busy themselves all day long moving from one activity to the next. What are our children entraining to when we do this? By taking the steps to realign yourself with a calmer and less stressful way of living you literally give your children that gift. When you synchronise to people and experiences that are relaxed and joyful you give your children everything. You free them from a life of stress and they get to be who they are. Taking care of you is the most generous thing that you could do for your family. They need you to! Understanding this tips onto its head the notion that it is the selfish mother who takes care of her needs and gives herself the time and space to relax and connect to what gives her joy! I suggest it is the wise mother who does. It doesn’t matter where you begin, just do it. It takes a village for sure. Call in whatever help you have to hand - your partner, family, friends, professionals. Become disciplined with your planner and be sure to schedule yourself in among the playdates, extra murals and appointments. Remember that taking care of yourself looks different for everyone. One mom may need an hour long yoga class, while another might need a twenty minute nap alone. Start where you are, with the resources you have. Sometimes all you need is to set yourself a place at the table rather than eat the scraps off everyone else’s plates or to remember to pack a snack bag for you too. It doesn’t have to be expensive grand gestures (although you have full licence to do those too if you have the resources). It can look like the smallest change, but it can make a life long impression on your family. When I first held my tiny newborn to my chest 10 years ago a dear and wise old woman told me “Taryn you are the source for your family, never forget that”. I thought she was weird. Now here I am 3 children and a stress induced, now thankfully managed, health crisis later and I have a profound understanding of the wisdom of her words. YOU ARE THE SOURCE FOR YOUR FAMILY. Your health and happiness matter, YOU really matter. Taryn is a registered homoeopath who specialises in women’s health and well-being. She is passionate about supporting mothers to flourish rather than simply survive another day. She works from both her private practice as well as the Healing Hub at Lourensford Wine Estate, Somerset West. 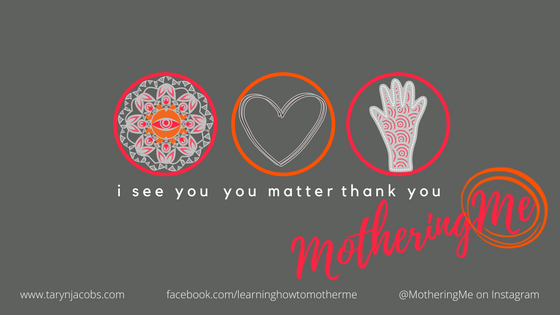 She created MotheringMe on facebook and instagram to start a conversation that would help mothers to find creative ways to deeply care for themselves while meeting the ceaseless demands of motherhood. She is mom to three young boys - her most valuable education.